How have you performed over time? 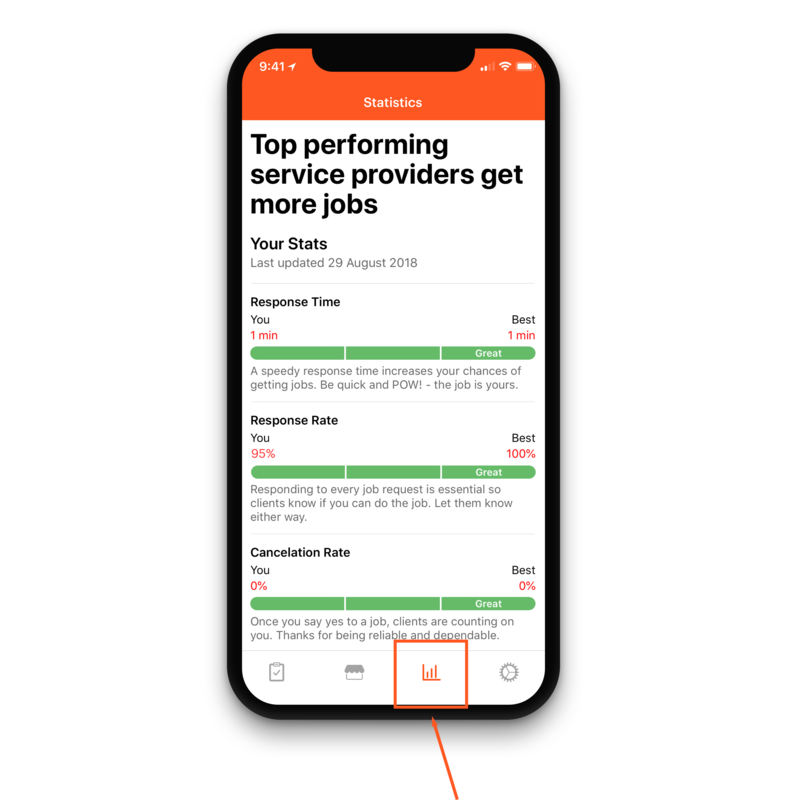 Learn how to review your performance in the app. If you want to know how you’re performing in the Properly Marketplace, you can check the Statistics tab in the Properly app. You’ll see measures of your Response Time, Response Rate, Cancelation Rate, and Accuracy. Response Time measures how long it takes you to respond to available jobs. You can respond by accepting or declining a job. It’s easy to boost this number by turning on your notifications and responding right away when a new job is offered to you. Response Rate measures the percentage of jobs you respond to. If you respond to all jobs, your response rate should be 100%. Keep this number high by responding to every job. Remember: declining the job counts as a response! Cancelation Rate measures how frequently you cancel a job. You want this number to be 0%, ideally, although clients will understand if you have a one cancellation out of every 100 jobs. Accuracy measures how well you perform tasks like checking into the job when you begin and checking out promptly when you finish. This number indicates to clients that you will be on location when you say you will. You can boost this number by turning on location services and being punctual for every job. These stats are important to your clients, so it’s worth putting in the effort to be sure they know you’re communicative, prompt, and reliable.